Custom tailored pants in Miami will do more than just change the way you look; they will change the way you live. Wearing well-fitting clothing starts by selecting the fabric that works best for your lifestyle and purveys a sense of who you are. When it comes to designer pants, custom tailored clothing never goes out of style. It is an investment in appearance, comfort and quality that pays dividends each time the pants are worn. The sophisticated gentleman wants to stand out from the crowd. When crafting custom tailored pants in Miami, we not only take careful measurements, we take notice of the things that are important to our clients. Whether for a doctor or a professor, a business owner or a banker, each pair of pants is measured to fit the lifestyle of our clients and the image they want to convey to the world in which they work. Each pair of pants is crafted to provide a full range of motion so you will never feel held back. Designer pants from retail stores simply don’t have the flair that custom tailored pants offer. They are quite simply a cut above the norm. The custom clothing in Miami we create starts with perfect measurements that are followed by the ideal choice of fabric. Custom pants can be crafted from silk, cotton, wool, linen and many other fabrics and blends. This creates plenty of options to choose from that match the climate and environment the pants are intended for. This further enhances comfort and provides a solid and comfortable layer of protection from the weather. The experience of wearing custom pants is much different than pants purchased straight from the store. Bespoke custom pants are crafted to highlight our clients’ physical features while contouring the rest. This makes them comfortable items of clothing that always deliver a flattering appearance. This makes our custom clothing something that can be worn here, there or anywhere our clients may travel for business or pleasure. 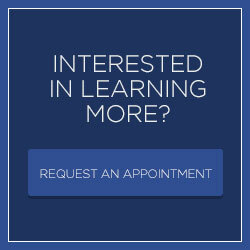 We invite you to contact us to schedule an appointment. It would be our pleasure to create pants that will fit perfectly into the lifestyle you live. It is our guarantee to deliver a quality experience from the measurements that are taken to the final fitting and any alterations that are needed down the road.